Refrigerators these days have some pretty advanced controls that allow you to set precise temperatures for the food and beverages in your refrigerator or freezer. These temperature displays can sometimes be a bit tricky and/or show the temperatures in Celsius format when you want Fahrenheit. Fortunately, some of the more-advanced refrigerators allow you to change this setting. 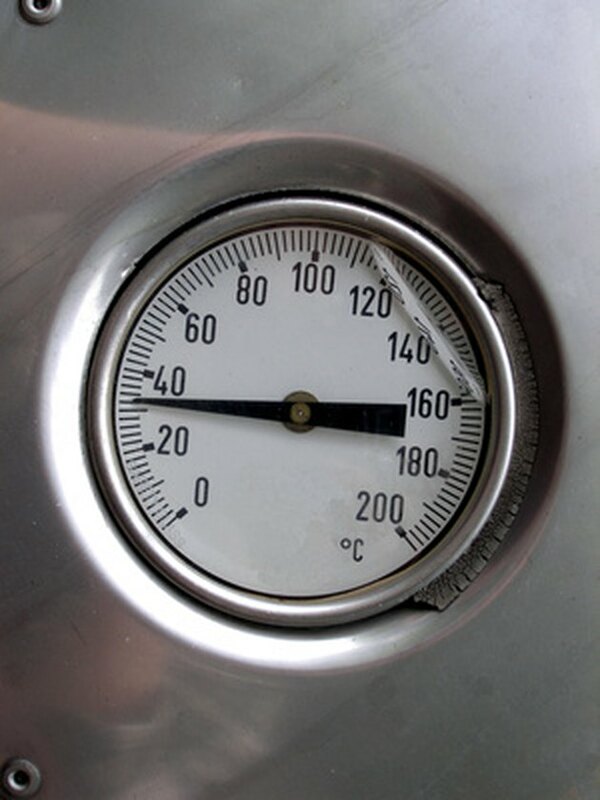 You can change the temperature display on your Frigidaire refrigerator from Celsius to Fahrenheit. Locate the model name or number of your Frigidaire refrigerator. This is a crucial element in determining what specific settings can be changed. Check the Frigidaire website for particular model information. Open the fresh food compartment of your refrigerator and locate the control panel, which is usually found at the top of this compartment. Press the "C/F" button between the two degree reading displays to toggle the display between Celsius and Fahrenheit. Scott Danielson has been writing since 2004. He has written for music blogs, most notably Edison's Wax Cylinder. Danielson has a Bachelor of Arts in communication from Ohio University. What Is Sabbath Mode for Refrigerators?